Home / Preface to the Lyrical Ballads / William Wordsworth / Preface to the Lyrical Ballads is an epoch-making document . Comment. Preface to the Lyrical Ballads is an epoch-making document . Comment. "Preface to the Lyrical Ballads" is an epoch-making document criticism of English literature. Wordsworth has declared a break of the Neo-classical tradition in English poetry. This is a piece in which he has given an epoch-making definition of poetry. He has discussed the characteristics of a poet, his functions and his dominions elaborately. In fact, with the publication of this "Preface", Wordsworth started Romantic Revival which changed the classical tradition of English poetry. His remarkable speech on the poetic diction has also moved the literary personalities of the contemporary age.
" Preface to the Lyrical Ballads " is marked by its realistic quality. Wordsworth has drawn poetry from the rosy world to the real world. He wants to acquaint his readers with flesh and blood. Before the Romantic Age, the poetry of English literature was based on town and artificial life. Poetry of the Neo-classical Age dealt with coffee-house, decorated drawing rooms ets. But Wordsworth is the only man who changes this tendency of poetry. He declares that poetry will deal with the common people who live in the rural areas. He advocates it as their feelings, passions and emotions are pure and unadulterated. Wordsworth's definition of poetry is also epoch-making. He says, "Poetry is the spontaneous overflow of powerful feelings; it takes its origin from emotion recollected in tranquility." According to Wordsworth, heart dominates over head in writing a poem. A poet must be speculative or contemplative. His feeling and emotions will be reflected in his poem. These feelings will come to his mind when he will remain in tranquility. "Poetry is the breath of all knowledge," says Wordsworth. Poetry is more perfect than any other branch of knowledge. Wordsworth further says, "Poetry is the first and last of all knowledge." The function of poetry is great. 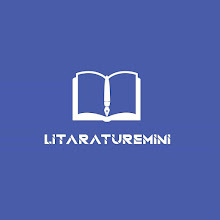 It nourishes the emotions and feelings of the readers. It gives the readers pure joy and pleasure. So Wordsworth says that the end of poetry is to produce excitement in co-existence with overbalance of pleasure. So only duty of poetry is to delight the readers, not to instruct. Thus Wordsworth differs from the neo-classicists. The Neo-classical poets were in favour of didacticism. But the Romantic poets give emphasis only on pleasure and not on teaching. Thus Wordsworth brings about a revolution in the function of poetry. Wordsworth says that poetry is superior to all knowledge. A poet does not face such type of obstacle as an astronomer, a scientist or a historian faces. The obstacle which hinders the poet is the capability of giving immediate pleasure. A poet deals with universal truth. His feelings or thoughts may not be appreciated by the readers immediately. But as soon as the readers understand the meaning, they get ecstasy. So a poet is a light giver to the ignorant. A poet is a man speaking to men. This is the liberal definition of poet given by Wordsworth. Before the Romantic Revival, the poets were considered to be extra-ordinary creations. But Wordsworth changes this idea. A poet talks in the language of the common people. He tries to bring his ideas near the flesh and blood. He is a man of the flesh and blood. But it is obviously true that a poet must possess a more comprehensive mind, inner sight and contemplative power. Hence, a poet is a man whose attitude to things is different from that of the ordinary men. Wordsworth's theory of poetic diction also lends weight to the view that it is landmark of literary criticism. Wordsworth declares that there is no essential difference between the language of poetry and that of prose. He says that metre is superadded. It adds the beauty to the poem. He wants to avoid figurative language in poems. His theory of poetic diction is condemned by some critics even by Coleridge. But it has a rare value. 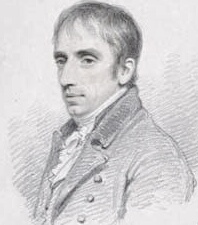 When Wordsworth tells of the language of poetry, he may mean syntax or grammar. However, "Preface to the Lyrical Ballads" is a landmark of English critical theory. But this is not completely blameless. Wordsworth himself does not maintain this theory in many of his poems. He declares that the language of poetry may be the language of the common people. But he himself has not used the language of the common folk in many of his poems. But if we consider that Wordsworth is the first man who like a humanitarian declares it, we can evaluate his "Preface" as a rare asset of English critical theory.